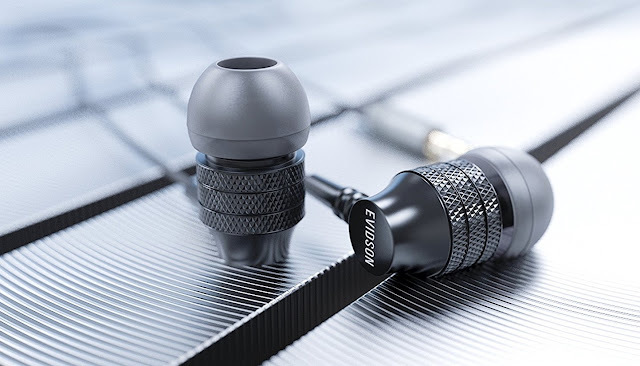 Evidson Audiowear Z4 Review - Interesting Earphones. A while back Evidson announced the new Audiowear Z4, a set of mid-range earphones landing under sub Rs.2000 price bracket. We've already made an unboxing video about the same, and you can find the link to that embedded here. Well, my initial impressions about these earphones were pretty solid, as the bass was quite punchy and overall it performed quite right. 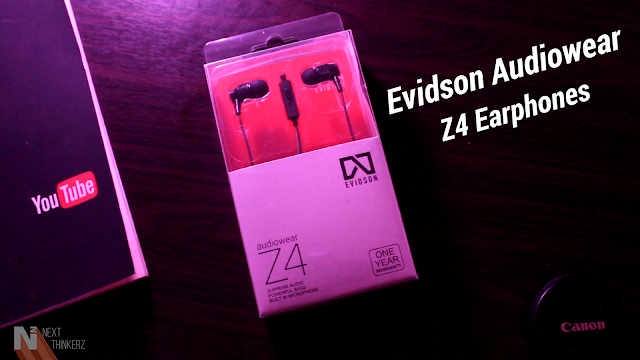 So after using these earphones for well over two months here is my Evidson Audiowear Z4 Review. Have my initial thoughts remained the same after thoroughly using it for a while? Let's break it down into the usual review supplement tags. Right off the bat, as you pick them up you will immediately realize that these earphones have been produced pretty well. It is not any conventional plastic material, but rather a metal finish, which helps in making them more durable and sturdy. On the other hand, there is a metal ribbit like structure which again helps in a better grip. The Audiowear Z4 also perform a decent job of staying in your ears, it's not perfect but gets the job done. Heading down from the main earpiece units, you would find an in-line microphone, which houses a single button. Whereas I kind of miss the volume buttons, as even the Audiowear R5 has it, while it's a cheaper variant. Another thing you would notice is that the single button is quite mushy in giving feedback. Speaking about the cable, it has got a matte rubberized appeal and is about 1.2 meters long. 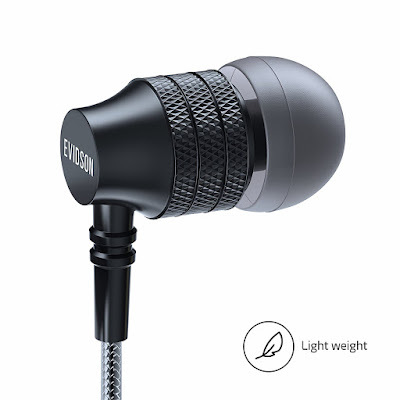 While just like the oxygen free coating found on the brainwavz earphones, Evidson has Incorporated thermoplastic elastomer coating which keeps the cable free from wrinkles. While heading all the way to the end, you will find the usual 3.5mm gold plated audio jack. The best part is that the Jack is not having any weird 45°-90° angles. It's pretty straight, which is what I appreciate. Whereas did I mention that it is completely a "Made In India" product. I tried several tracks throughout my review course, & I must say I'm super impressed by its performance. It gave me maximum output when I tried FLAC files, same was the case with MP3's. I loved its bass output, and it was quite reliable. The high, lows and vocals were also on point, but not up to the mark. Especially; when it comes to vocals. There's a bit mismatch, meaning that the output gets flickered when all these four aspects get observed in any audio file, only during high pitches. All in all, that's pretty good as an all round performer. Audiophiles will enjoy it, especially the bass heavy nerds. So as long as you're not triggering the volume to it's fullest, you won't be disappointed at all. I'd rather suggest the Audiowear Z4 earphones judging the punchy bass I got from it. Speaking about the ear tips, they do a good job of blocking the surrounding noise. You can try these earphones for longer sessions per day; however, I wouldn't suggest doing that as it gets uncomfortable pretty quick. Evidson is marketing these earphones with a tag of "Well balanced output," well, that's almost suitable for that reference. The Audiowear Z4 comes with two extra silicone ear tips and a single foam ear tip. Apart from that, there's no carrying case or pouch provided inside the box. In my opinion, this is feasible because of the cost cutting factors, while at least looking at a young startup like Evidson from both market and brand perspective. These earphones also get the usual 12months of warranty. It has 16 ohms of rated impedance coupled with 7.0mm driver size. Frequency range lies between 20 Hz to 20 kHz. Sensitivity is 103 dB at 1mW, while the Noise Isolation levels are 24 Db. It weighs about 12 gm and comes in Black color. Supports High Fidelity Audio which delivers a wide soundstage output. The Audiowear Z4 are fabulous when it comes to achieving proper output concerning bass, apart from that the Design compliments it's sturdy built. However, there are few shortcomings when you switch gear to different frequencies. Lastly, I wish the in-line microphone remote had a better build. However, if you don't pull out high volumes, the listening experience is quite good. But are you ready to do that? Think for yourselves. But I'll give credit to the company in trying out different things are several price segments, as I've tested their products earlier as well. I saw a lot of progress on their recent products, while I can't wait to see what's next. Though at this moment, it's undercooked. 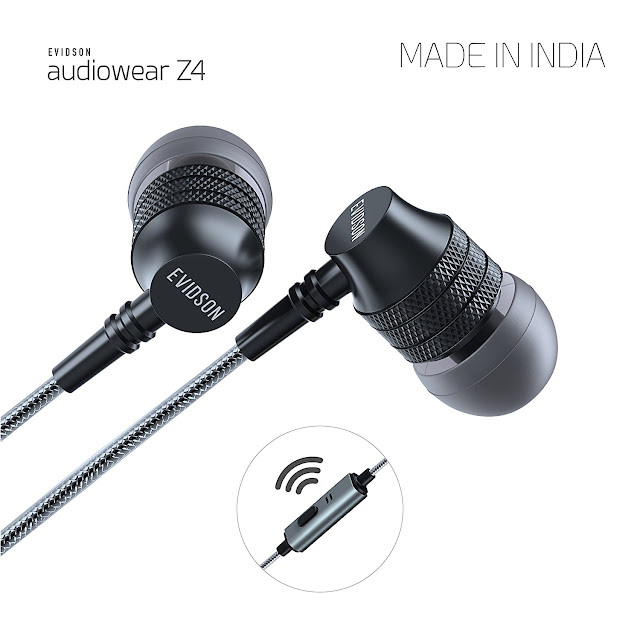 The Audiowear Z4 is available to buy for Rs.1799 from Amazon, PayTm and selected retail outlets. I feel it's a bit overpriced considering the competition. Would you consider buying them? Let us know in the comments below.